Your next city trip destination is… Valencia! The third largest city of Spain, full of sunny days all year round, lovely beaches and the impressive City of Arts & Sciences. The latter is absolutely a must visit, and also very eco-friendly! 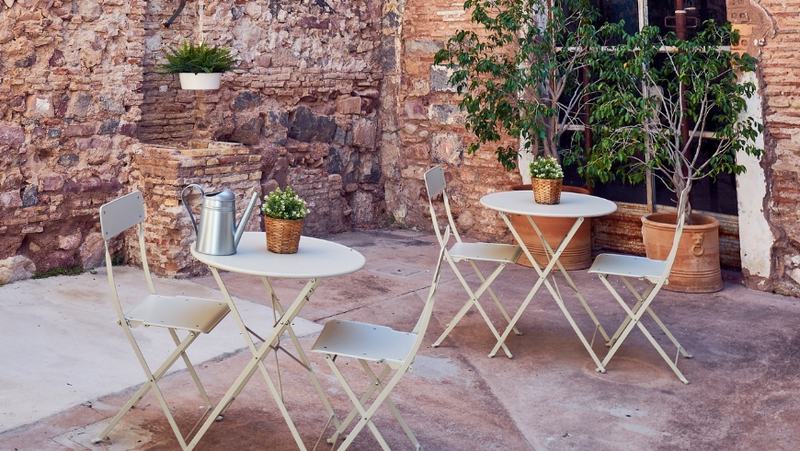 Let’s explore Valencia’s best green accommodations, nicest hotspots and sustainable shops! Valencia has so much to offer. 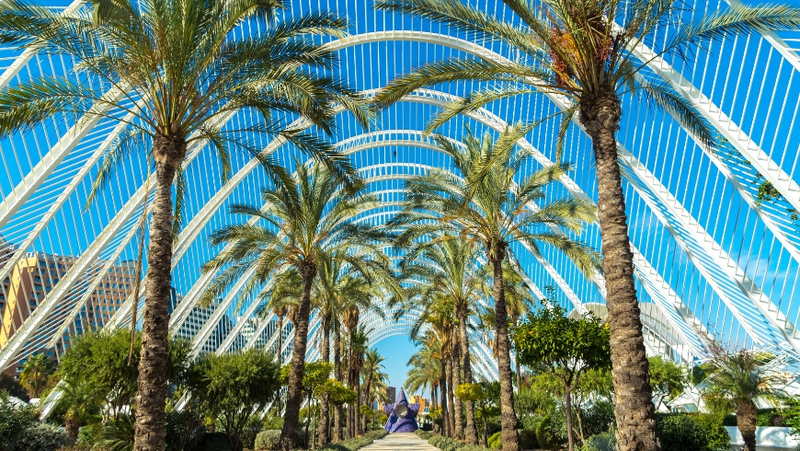 Famous for its 9 kilometres long Turia park -perfect for running, cycling, strolling and relaxing-, beautiful squares, long beaches and an overall green vibe. And not to forget about its Paella Valenciana, oranges, ceramic and the typical local drink horchata! With around 150 kilometres of cycle lanes, the best way to discover this beautiful city is by bycicle. Where to sleep in Valencia? Valencia has a large selection of eco-friendly hotels and apartments. In the surroundings of Valencia you will also find some campsites to relax and unwind. Not the cheapest hotel of Valencia, but at The Westin Hotel they will treat you like a king or queen. The impressive building -built in 1917- has pretty much everything you need. A spa, swimming pool, restaurant and more. Besides that, the hotel serves its clients with the environment in mind. Think of eco-friendly furniture and painting and water-efficient faucets. Find more information, availability and prices at the website https://www.marriott.com/hotels/travel/vlcwi-the-westin-valencia/. In the city centre, close to Plaza Ayuntamiento and the neighbourhood El Carmen, you will find Guest House Kasa Katia Eco. A comfortable, clean guest house with character. Katia and Daniele, the Italian owners, maintain a concept of urban sustainability. From exclusive use of electricity from renewable sources to their ‘KM 0’ breakfast with homemade -long lasting- bread! Find more information about Guest House Kasa Katia Eco: https://www.kasakatiavalencia.com/en-gb. Valencia has a lot of hotspots, that are also eco-friendly. This trend is getting more and more popular in the city. Not in the mood to go out for diner? 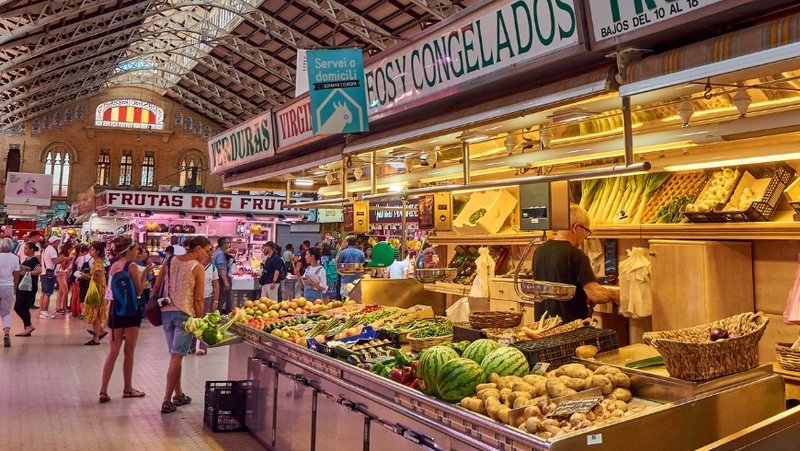 No problem, Valencia has a lot of eco-friendly shops and supermarkets where you can buy your groceries. Joyce is working for 'Sprankelend Spanje', a Dutch company based in Valencia. 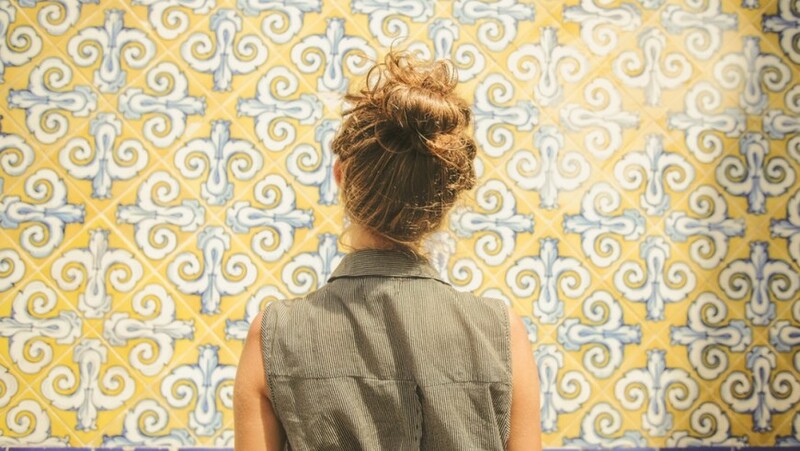 She writes articles about the nicest cities in Spain and loves to discover new hotspots & eco-friendly places! This entry was posted in journeys and tagged greentravel, Spain, Valencia. Bookmark the permalink.